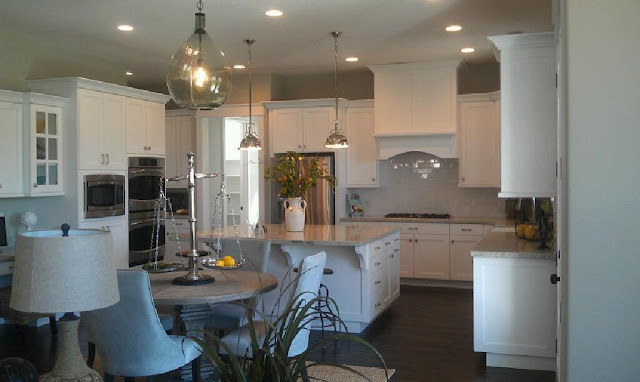 So the Hubby and I had a little date on Saturday to the Salt Lake Parade of Homes. I count myself a very lucky lady to be married to a man that really enjoys these sorts of things. He and I had a really good time going through a few of the houses (we didn't have time to go to all of them) and checking out the decor, the finishes, the layouts etc. Good times, people, good times. 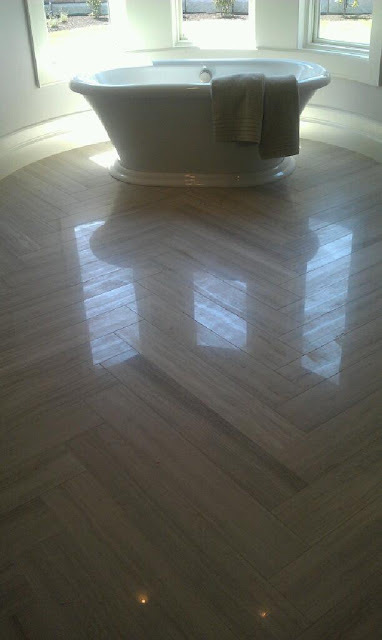 The herringbone tile in this bathroom was a.ma.zing. Isn't this a fabulous idea? I loved this kitchen...I'm a sucker for a great, white kitchen and this one was perfection. Hand scraped espresso colored hardwood floors, white subway tile, a huuuuge island. And the pendants over the island? Love them. This is the same room facing the other direction. I love those built-ins! As you can probably tell from this view, the house was a craftsman style home, and it was beautifully done. I thought this was a very clever wall display. I need to find me some oversized stopwatches. Lol! 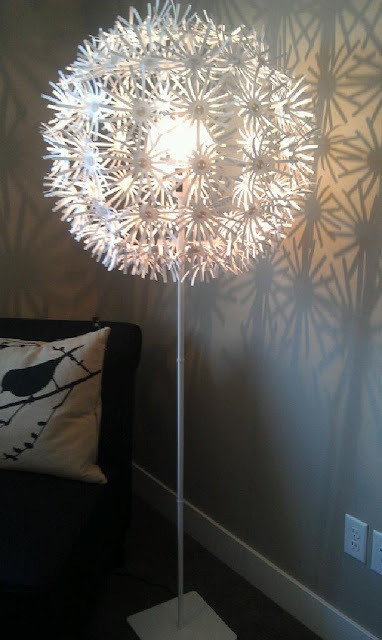 And speaking of DIYs...check out this clever IKEA Maskros pendant light hack...they turned it into a floor lamp. I thought this was brilliant! 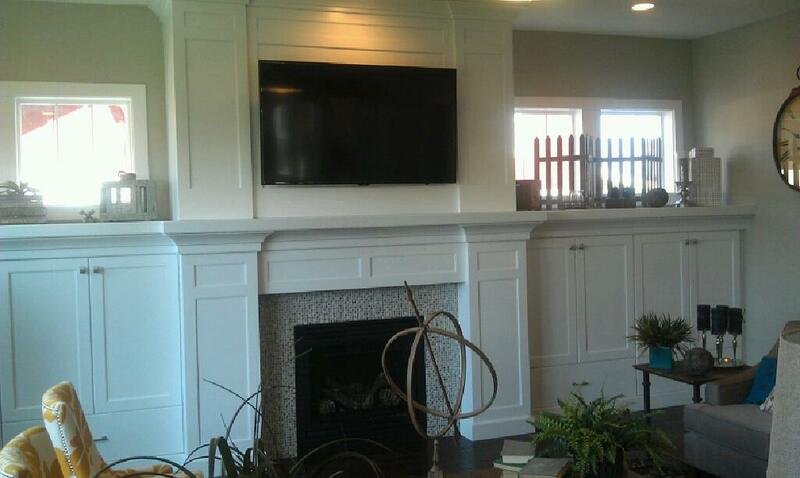 I'm sure many of you heard about the DIY blogger house in the Parade of Homes this year. I had the chance to see that amazing home at a VIP blogger event before the Parade opened, but I didn't take any photos. If you want to read all about it, and see some photos, you can check out some great posts here and here. Finally, since I am trying to make each and every post here on the blog purposeful in some way, here is what I have to add about the Parade of Homes... I used to go through these houses and get the green-eyed jealousy monster going inside my head. I used to look at them as places that I longed for (I mean, that bathroom above is one of 9 in a 20,000 square foot house). But now, I choose to look at them purely for the inspiration they can provide. Sure, I'm not in a place right now where I can totally remodel my kitchen to create a dreamy all-whit,e subway-tiled paradise. But that's okay. I can look at aspects of that beautiful kitchen and figure out ways to incorporate them into my house. 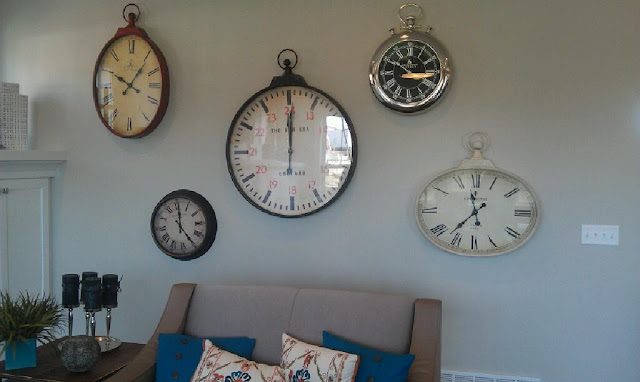 I can find a way to create a great "clock wall" somewhere. I can certainly figure out a way to DIY that IKEA light if I so choose. My point is...no matter how grand (or modest) the space, there is usually some sort of takeaway from each place that you visit. Be it something you add to your "to-do" list or something to add to your "never do this" list...Lol! Now when I walk through the homes at a Parade of Homes, or through a new model home, or look through a magazine, I choose to do so purely for inspiration purposes. That green-eyed jealousy monster has no place making me feel that I am less...so I won't let it. Okay, off my soap box. Hope you all have a great day! Love that herringbone floor and the kitchen is wonderful. I want a huge island like that. Thanks for sharing. I love that you took pictures for us because I love the inspiration I see here. And totally crazy co-ink-ee-dink? I have an oversized stopwatch sitting on my kitchen counter, because I had nooo idea where to put it. I also have a wall that need something. And the thought literally went through my head today (how about a wall of clocks??) and I discarded the idea. Hmm. . . HMMMMM. . . .
That bathtub and kitchen are GORGEOUS! Home tours are always inspiring/make me jealous. 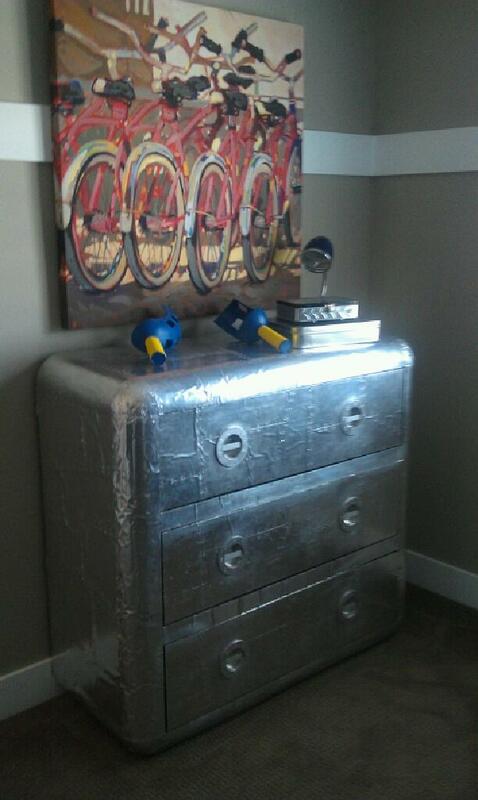 Hi there the silver dresser is my fav also I wonder if decoupaging aluminum foil squares would give the same referencing look? ?